We didn’t love our communities because they were beautiful. Our communities are beautiful because we loved them. 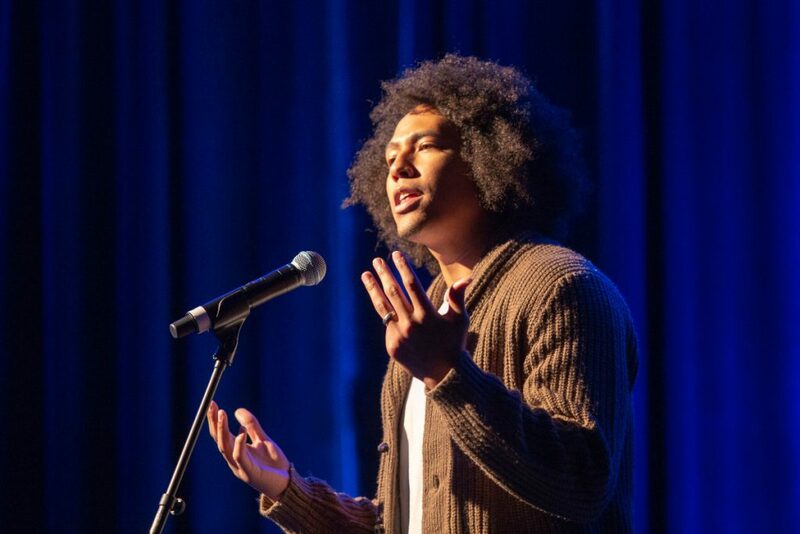 As spoken word poet Christian Paige shared in a performance that kicked off the opening plenary, a community that is fully united, with all voices valued, is a community that is unstoppable. 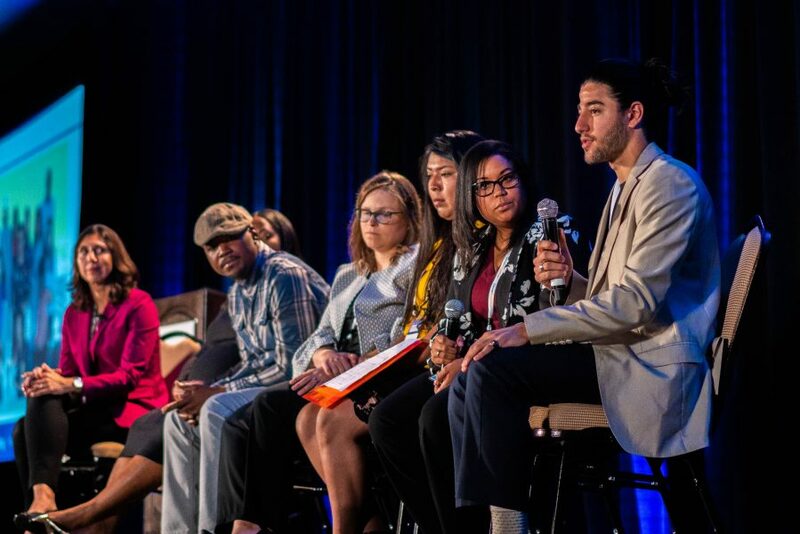 Engaging the community — the first guiding principle of our Theory of Action — was the focus of our opening plenary at the 2018 StriveTogether Cradle to Career Network Convening. This morning at our ninth annual event, we heard from six communities that shared their paths in this movement: to raise up community voices, including voices of youth, to influence decision making and shape the directions of their communities. How often do we make the mistake of doing this work for or to the community, rather than with the community? For far too long, girls and boys across our country, particularly those of color, have been just numbers, their voices unheard and their thoughts and ideas discounted because they are perceived to be too young. And for far too long, their parents have often been ignored because they are assumed not to care, and community members’ ideas have been undervalued if they don’t have the right degree or title. Community engagement has always been a part of our Theory of Action, but it’s an area in which we have a lot of room to grow. Authentically engaging the opportunity youth who left high school at age 16 is harder and takes more time than engaging the CEO of the local United Way. 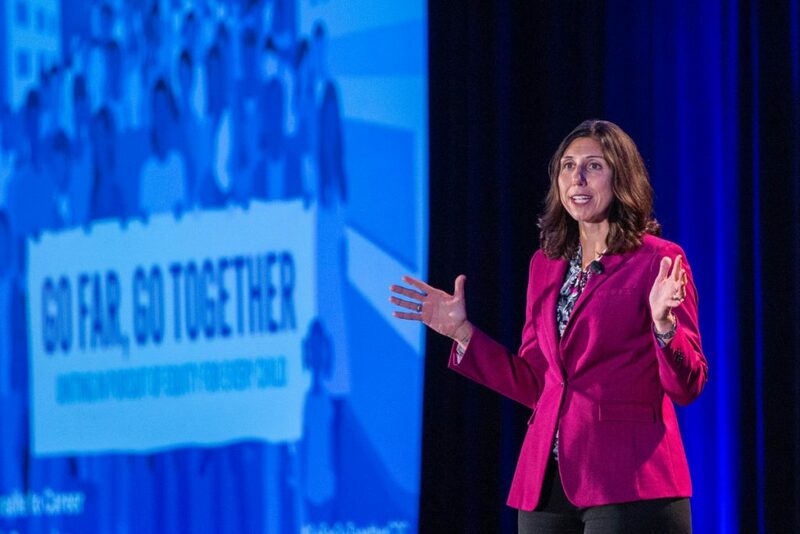 Although this may be an area for growth, partnerships across the country have added seats to the table. They are ensuring community, family and student voice and action is central to their work to ensure every child is successful, from cradle to career. I was moved by the personal stories and reflections of the youth and Cradle to Career Network members on stage with me this morning. In San Antonio, Texas, the youth commission informs local government strategies to tackle issues ranging from transportation to safety. “I look to the future, and I look to be the one to create these changes. I can’t sit back and expect someone to do it for me,” said Majd Aljadaa, a first-year student at the University of Texas at Austin and a member of the San Antonio Youth Commission. In Tacoma, Wash., that space looks different from what you might expect. It’s not an after-school program or a classroom. At his barbershop, Dominique Ervin plays a unique role in supporting the success of every child in his community. He participates in Graduate Tacoma’s Books to Barbershops program and is tuned into the dreams of local youth, helping them turn those dreams into life paths. “Once I became a barber, I began to see the youngsters in my community not given the opportunities to be what they wanted to be. So I partnered with Graduate Tacoma to give them those opportunities,” Dominique said. 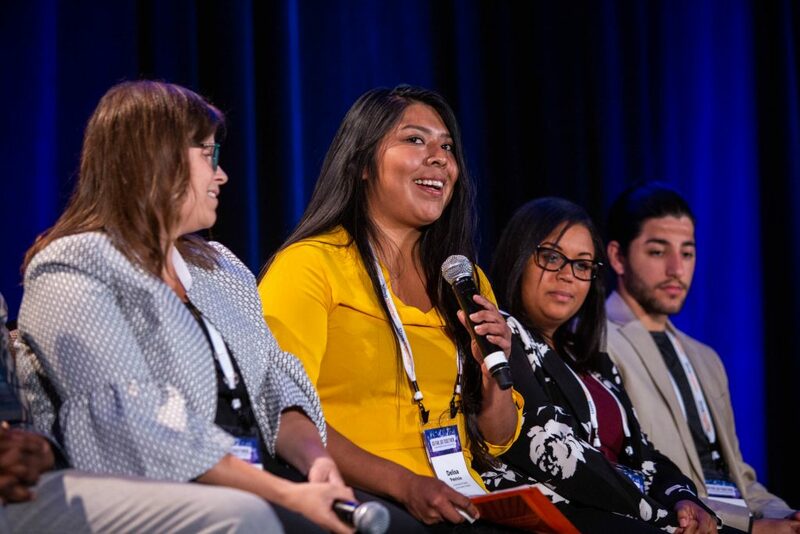 True connections come most naturally from peers, and Delisa Patricio, a United Youth Leadership Council administrative member in Pima County, Arizona, is using these relationships to create a better future for other young people. “I advocate for youth in my community who are disengaged from resources that I was once unaware of myself. And I want to change that,” Delisa said. Delisa’s work is supported by Ashley Janicki, Opportunity Youth Change Network facilitator at Cradle to Career Pima County. She says that creating opportunities for community members to lead and share their voices often isn’t enough. Efforts need to be accessible and intentional. “It’s not just who’s at the table, but what does the seat look like? 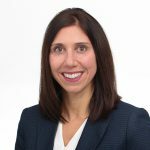 Is it inviting, is it welcoming, and are you building the relationships necessary to have that authentic engagement?” Ashley said. In addition to Pima County, Bexar County and Tacoma, we highlighted three other communities this morning through a video featuring their work. We saw how 97 youth representatives are contributing to decision making in Northfield, Minn. (Northfield Promise); how Promotores are providing resources to and gathering information from their fellow Hispanic community members in Bellevue, Wash. (Eastside Pathways); and how girls are being trained as qualified researchers to collect data on community needs in Adams County, Colorado (Youth Initiative of Adams County). In these communities and others across the country, voices are being uplifted — but so much more work needs to be done. That’s why we revised the Theory of Action, the guiding framework for our work, to place more emphasis on equity and community engagement. The leadership and voice of community members, particularly young people, are critical to ensuring that strategies and decisions are built around what’s best for a community’s future. The efforts we saw today are just the beginning. Changing systems to empower youth and families will take time, and a sustained, collective effort. And discover what happens when you decide to water a seed. Watch our community engagement plenary here.